Shopping for a home loan? You're probably doing it wrong. We've listed out the 7 keys to shopping for a home loan. It's simple, yet funny enough, rarely done. 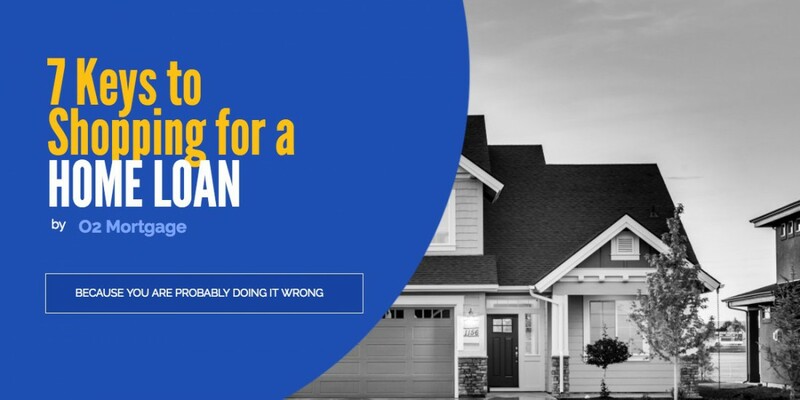 Shopping for a mortgage is not like most things you shop for and most likely, you’re probably doing it wrong. Believe us when we say, we’ve seen it done every manageable way, from clients calling in multiple times under different names, to people who seem to have given up before the process had ever begun. We think mortgages are tools to get you your dream home and because of that, we think mortgages are fascinating. We’re also a little weird but if you’re new to mortgages or feel you did it wrong in the past, follow along, most of the keys below are intuitive but the reasons for them are not always. 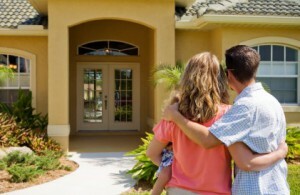 It is never too early to start the loan pre-approval process. If you are thinking of buying a home talking to a loan officer early can get you on the right foot. Waiting till you are in contract is too late because once you’re in contract, the clock starts. You have only so many days to get the approval, appraisal and property inspection before you risk loosing your deposit. Starting weeks, months or even years ahead of when you think you will be ready can help you dramatically. No, a year is not too early to start the process? Yes, a year is a long time for a lot of things but if you find out you need to work on your credit, or save for more downpayment it may not be as long as you think. As well, if you do begin the process extremely early you can build a plan. When it comes time to buying you’ll be ready and not be forced into a loan program that’s not optimal. As well, you might find out your dream of buying a home is much closer than originally thought. Research online. Websites like Yelp, Google and industry specific sites like Zillow, Redfin and Trulia (to name a few) can help with reading about other clients experiences. The trick is to look for a common theme with reviews, everyone’s situation and experience is different. You are about to give a stranger a lot of personal information and then place your trust (and your deposit) in their hands. Make sure they’re trustworthy. Both your loan officer and real estate agent are working for you. Make sure they will work well together. Like starting early, if your loan officer and agent are on the same page they can be strategic when drafting up an offer. In this day and age, speed is a big part of getting your offer accepted. If your loan officer and agent are aligned they can get competitive on how quickly you will close, as well as how quickly you will receive a loan approval as well as your appraisal (very big things and a large concern for the seller). Pre-Qualified: You have gone through the first stage of the process of having an initial conversation with your loan officer and you have been qualified (from answering some basic questions about your situation). Based on this conversation, your loan officer has given you a ballpark rate and program. Note that this is does not mean you are pre-approved. Pre-Approved: You have given your loan officer all of your financial information – tax returns, W2’s, pay stubs, bank statements, hard pulled your credit, as well as ran a stress test to make sure that once you are in contract there will not be any unforeseen issues. At this stage of the process you have run through many different options and have more or less the foundational understanding of what you plan on doing financially. 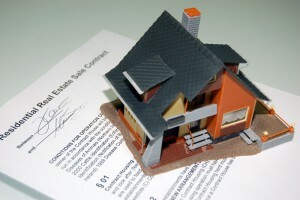 Get Pre-Approved…a pre-qualification letter isn’t worth the paper it’s written on. CAN A LOAN OFFICER HELP ME GET INTO CONTRACT? Calling the listing agent – This is surprisingly effective. It costs no money and listing agents love this. Being local helps – Real estate is a local industry. All the national companies and online lenders can not take away the fact that real estate is local. Having a local loan officer, with a local company means all the world to a good listing agent. What’s great about a loan officer who will go the extra mile when making an offer is that none of these things cost you any money! There is a lot of information online, but you really want a loan officer that will have a conversation about what you qualify for as well as affordability too. This is something that unfortunately is not talked about enough. Being in the business since 2006, we saw a fair share of foreclosures and short sales since then. Everyone qualified one way or the other for the loan they defaulted on, they just couldn’t afford it! This is crucial! You don’t just want a human calculator but a partner in the process with you. You want someone who will tell you the tax benefits, talk about your future plans and work with you and your team to guide you in making the best financial decisions for your future! Rates Change many times a day. You talk to one person on Monday afternoon and another on Tuesday morning they will be looking at two different rate sheets. An apples-to-apples comparison is very hard unless you are an industry insider. It is very hard to read between the lines with generic posted rates. Rates posted online or in a banks window are not YOUR rate, they are just A rate… these are very different things. Rate is not just affected by loan amount and credit. A good loan officer will not only find the right program but they will give you advice on the different ways you can get a better rate. A good rate on the wrong day is not as good as a bad rate on a good day. Ask prospective loan officers what their lock bias is (i.e. when the best time to lock in your interest rate). Rates never change, it is the fee associated with them that change. Everyday a loan officer has the same rates, 2 to 20 percent. It is, however, the points associated with the rate that does change. You can buy points or sell points. A rate with no points either bought or sold is called a “par” rate (meaning zero points either positive or negative). Buying points is you buying down the rate. If my hypothetical “par” rate today was 3 percent and I could buy the rate down to 2 percent by paying a fee. Or you could sell points that means if my hypothetical rate was 3 percent, you could take a 4 percent and the lender would pay you (by way of paying your costs) for taking a higher rate. If it sounds complicated that is because it is and getting granular about this prior to being in contract is rather pointless since these numbers change moment by moment and you need to work with a person and company you trust. If you are looking for someone to partner with you – O2 Mortgage has the people you want to team up with. For all the reasons listed above, let us be your partners in taking the steps into your next home mortgage. recognize such special about my trouble. You’re wonderful! say about this piece of writing, in my view its truly remarkable for me. be sure to bookmark it and return to read extra of your helpful info. on a regular basis, this web page is genuinely good and the people are in fact sharing pleasant thoughts. .. I’ll bookmark your site and take the feeds also? I’m happy to search out a lot of useful info here within the put up, we need develop more techniques in this regard, thanks for sharing. Excellent goods from you, man. I’ve consider your stuff prior to and you are just extremely wonderful. way wherein you assert it. You are making it entertaining and you continue to take care of to stay it smart. What’s up, for all time i used to check blog posts here early in the break of day, as i love to find out more and more. Thanks for every other excellent article. Where else may anyone get that type of information in such a perfect manner of writing? I’ve a presentation next week, and I’m on the look for such info. to read this blog, and I used to pay a visit this webpage all the time. regarding this weblog, this website is actually remarkable. web page and now this time I am visiting this web site and reading very informative posts at this time. on AOL? I require an expert in this house to resolve my problem. Hurrah! Finally I got a blog from where I know how to really get valuable information regarding my study and knowledge. I believe that you simply can do with a few % to drive the message house a bit, however other than that, that is wonderful blog. looking to create my very own site and would like to know where you got this from or just what the theme is named. except this paragraph is genuinely a fastidious paragraph, keep it up.